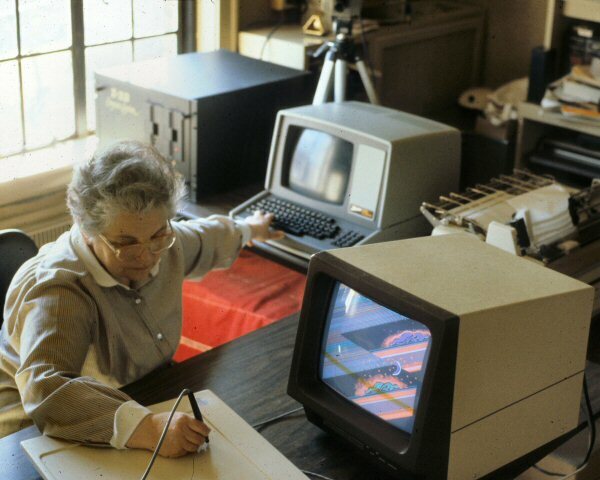 Sonia Sheridan manipulating the Cromemco Z-2D system with EASEL software, 1982. 1 slide. The Daniel Langlois Foundation for Art, Science, and Technology, Sonia Landy Sheridan fonds. John Dunn manipulating the Cromemco Z-2D system with EASEL software, 1982. 1 slide. 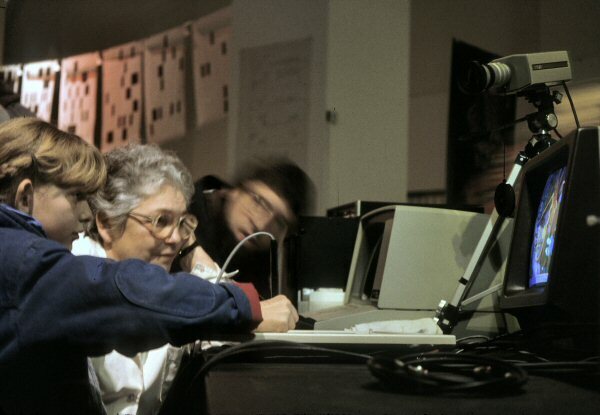 The Daniel Langlois Foundation for Art, Science, and Technology, Sonia Landy Sheridan fonds. Sonia Sheridan and the Cromemco Z-2D system at the "Electra" exhibition, Musée d’art moderne de la Ville de Paris (France), 1983. 1 slide. The Daniel Langlois Foundation for Art, Science, and Technology, Sonia Landy Sheridan fonds. Sonia Sheridan, Sonia In Time (detail), 1985; Process: Lumena; Hardware: Times Arts Inc. PC computer, video camera; Software: Lumena by John Dunn (Time Arts); Ink-jet printer, 22"x58"; 1 slide. The Daniel Langlois Foundation for Art, Science, and Technology, Sonia Landy Sheridan fonds. 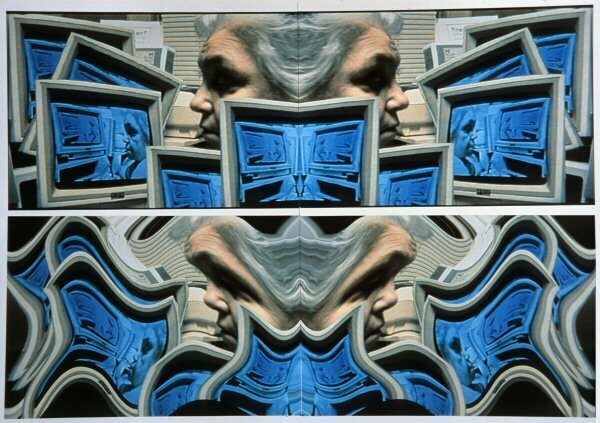 A large series of images were created in the 80s by Sonia Sheridan on a Cromemco Z-2D computer with a Cat 4 graphics card, a black and white surveillance camera, and EASEL software by John Dunn. This system was the first available graphics software for the PC. In 1982, John Dunn founded the company Time Arts Inc. in Glen Ellen (California, USA) to produce EASEL and then Lumena. 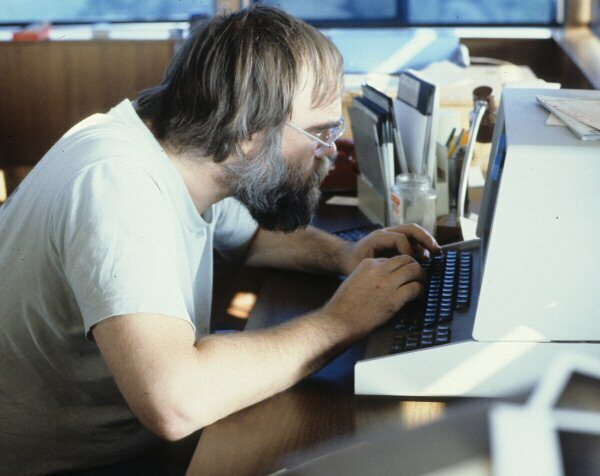 He started the system while a graduate student in Generative Systems in the late 1970s.